If you want to have a good marriage, it is important for you to implement financial management. As much as we want to keep things as romantic as possible, that is just not the reality of life. Love, no matter how powerful it is, cannot make your marriage work if you have no idea how to manage your household finances wisely. NPR.org revealed an interesting study that revealed how conflicts about money are usually the most difficult to handle. When you make a mistake with your money, the whole family is usually affected. The more money is involved, the greater the effect will be on your marriage and the lives of your kids. To avoid going at each other’s throats because of your finances, you need to understand how you can manage your money well. Like it or not, this is one thing that you will share. After all, there are common expenses that you will be responsible for. You share in the household expenses and the cost of raising your kids. You also have to deal with the daily expenses that you need as a family in order to survive. There are too many financial occurrences in your life that you cannot leave things to fate. You cannot blindly use your money without any plans because that can blow up in your face soon. And when it does, you can be sure that your marriage will go through a very difficult time. According to an article published on CNBC.com, money is the leading cause of stress in a relationship. The data came from the survey done by SunTrust Bank. Apparently, 35% of their respondents said money caused them a certain level of stress and friction. In order to avoid this, the most basic thing that you can do is to implement financial management in your marriage. To do that, you have to avoid committing the following mistakes. Refusing to talk about the household budget. Talking about the household budget is crucial if you want to avoid misunderstandings about your finances. Some people, however, refuse to talk about it because they want to avoid money disagreements. This is a mistake. You have to sit down and talk about how you will manage your finances because that will help you understand the different expenses being made in the house. It will keep you from questioning how your income is being spent. Leaving one manage the bills alone. While there is usually one person in charge of paying the bills around the house, it is not advisable to leave that person alone. The couple has to be aware of the various payments being made. This will help them understand how the household is being run. It will also give them a chance to give their opinion on how the financial management should be implemented at home. Thinking that debt is the problem of one. Most of the time, those who get married come from different financial backgrounds and beliefs. There are some who keep their bad financial habits a secret – included the debts they have accumulated in the past. The reason for the dishonesty is their fear that their loved one will break off with them. While it is disappointing to find out that you are in love with an impulsive spender with a lot of debt, it is not right that you leave them to deal with the debt problem alone. It is better to support them. You can choose to make the same sacrifices as your loved one to help them overcome the debt payments faster. It will help make your marriage stronger. Ignoring the need to set financial goals. When you have set goals as a couple, it helps make your individual financial decisions more aligned. This is a great way to establish harmony in a relationship. It will also help you strengthen the future of the relationship. If you make plans together, the chances of you separating may be more unlikely to happen. Failing to set spending rules. Finally, a financial management mistake that can destroy your relationship is your inability to set spending rules between the two of you. This is more important if one of you is more inclined to spend than the other. You need to know what financial choices you can make on your own and what should be consulted with the other. This will help you practice honesty and keep you from committing financial infidelity. Apart from the mistakes that you need to avoid, it is also important to practice the right financial habits that will strengthen your financial position. These, when implemented well, can also strengthen your relationships. Having financial dates. Start by setting regular financial dates. This is a specific date that will allow you to talk about your finances. According to an article published on WashingtonPost.com, a lot of adults that participated in their survey never discussed their financial goals and habits with their significant other. You want to be open and honest about your relationship. Make sure to set regular meetings with your loved one. Talking about your financial future. When you go on your financial date, or even if you are not on an official date, you should always talk about your future together. Specifically, you need to talk about your financial future. How much money do you want to save for retirement? What house will you plan to buy? The answers will require you to consider your finances and steps to help you reach your goals. Being honest about financial transactions. 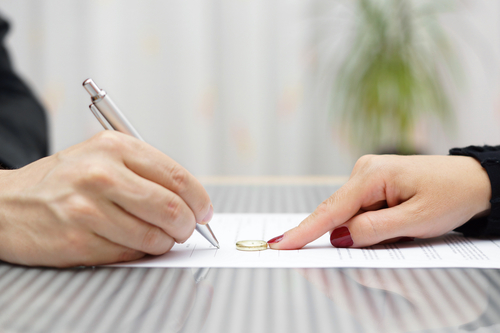 Marriage secrets are usually not a good thing – especially when it comes to your finances. Do not keep financial transactions from your spouse because that is already considered as financial infidelity. Always be honest. It will keep you cautious of how you spend your money. Respecting the difference in financial opinions. If you want to be smart about your marriage, you need to be respectful of each other’s opinions. While it is okay to fight, you need to respect the fact that nobody thinks the same way. You need to try to see it from the view of the other to get a better understanding of why they make certain decisions. Forgiving each other for financial mistakes. Finally, you have to learn how to forgive each other for any mistakes that you have done. We all make them. You need to be extra patient with a spouse that is a spender. It will take time to change habits. Be patient, understanding and considerate. But at the same time, you also have to be firm with the rules that you have set. If you follow these financial management tips, you may be able to lessen any misunderstandings. While it will not be eliminated, it will help you gain an open-mind about how the two of you should manage your money. Question: Who is responsible for financial management in a marriage? Answer: Ideally, it should be the person who displays a good sense in managing finances. It may be the breadwinner or the one handling the household expenses. While it is okay to have only one managing the money, the couple should both know what goes on. Question: Who uses financial management? Answer: Everyone should use it. If you use money to survive – whether it is for your home or business, this is necessary for you to improve your financial position. Question: Why is financial management important for a family? Answer: This will help the family reach all their financial goals. As the family grows, the expenses and various obligations increase. Financial management will help them stay on top of all these obligations and keep them from forgetting to budget for priority expenses. Question: How can I improve my financial management skills? Answer: First, you have to identify the skills that you need. Once you know what you will need to manage your finances, you should implement it. Take note that not all financial management skills may be required for your specific needs. Question: What are the financial management tools I can use? Answer: A budget plan is the most important tool that you can use. This will help you monitor your finances situation and understand what needs improvement and what needs to be changed.